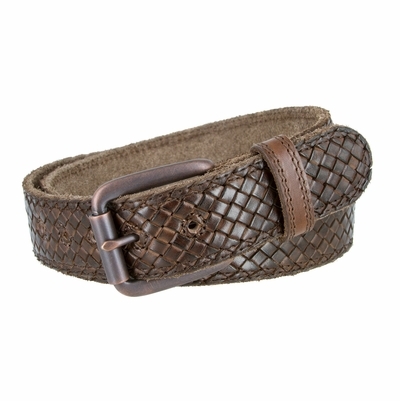 Crossweave Genuine Full Grain Leather Casual Thick Belt. 1-1/2" = 38mm wide Genuine Full Grain Leather Double stitched Edges. 5 Holes for Easy Fit Adjustment with stitched edges.